History of Nova Scotia; Book.2; Part 5; Ch. 15. "The Taking of Castine." Ch. 15 - "The Penobscot Expedition." In a letter to Bathurst dated September 23rd, 1814, Sherbrooke reported on the Penobscot expedition. Sherbrooke was absent 26 days from the province, returning "with most of his force to Halifax" having left two regiments at Castine. Sherbrooke laid out in a declaration13 the set up of a temporary government of the district occupied until the Regent's pleasure be known. Since "it has been deemed advisable to authorize a limited trade to the Port of Castine," he has requested the Collector of Customs to send someone to take charge of the Custom House at Castine.14 In a further letter dated September 27th to Major-General Gosselen, Sherbrooke gave details on the civil administration that had been put in place at Castine, including that "a Custom House has been established and he requires that every male above ten years of age take the oath of allegiance or become prisoners of war. 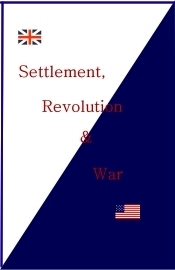 "15 The war having ended, the British gave up Castine on April 27th, 1815. We read in the DCB , in its entry on Sherbrooke, that the "eight-month occupation of Castine yielded customs revenues which were subsequently used to finance a military library in Halifax and found Dalhousie College."